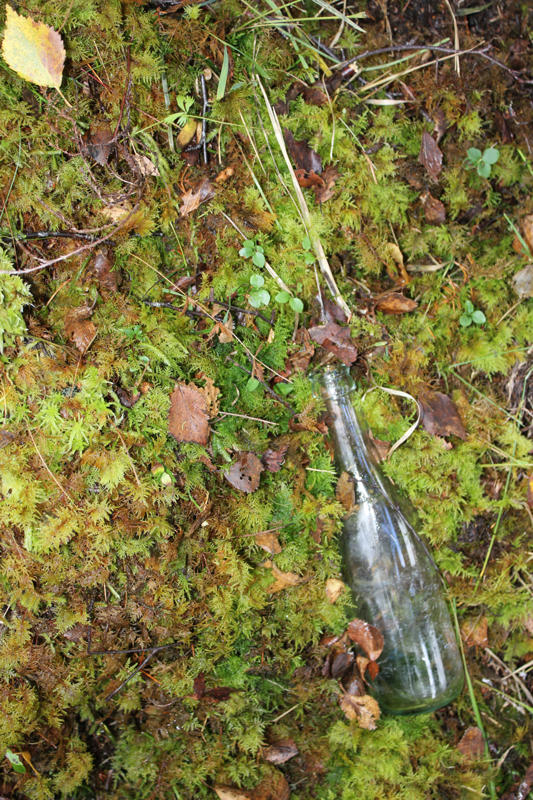 The glass bottle was found lying in a mossy nest in Flørli where it had been dropped. It was carried to the top of the mountain and down again. It held its message within itself, that of journeys, of carelessness, of time. From Flørli it is carried to Stavanger and, on Sunday at dusk, will be taken to Fiskepiren, the start of many journeys. There I will blow a breath across its neck, the sound reaching out across the waves, the bottle calling for its home, for longing, for return. Its message will be heard by others, those who want to be heard, who want to be found. After the calling, I will take the bottle on my journey, to Amsterdam and then to England. My practice seeks to create a dialogue between space and place using interventions and interruptions as part of a site-specificity that explores in-between spaces, inside and outside, nowhere and somewhere. It is my aim to try to understand the inherent qualities of space and its relationships. To do this, I acknowledge place as a perception of experience and memory rather than a location and this allows me to engage with space as an open construct.